Blue Bloods is getting ready for its seventh season on CBS, and there are two big names coming onto the series in guest starring roles next season. Entertainment Weekly reported that Blue Bloods fans will see Lori Loughlin and Michael Imperioli appear on the series. The news outlet described both of their roles. Loughlin will play a mother that goes to Frank, who is played by Tom Selleck. She will beg him to help her stop her son from becoming a police officer. His father was killed on duty. It was not revealed when fans will see these characters pop up on the series. Are you excited for season seven of Blue Bloods? Tell us what you think. More about: Blue Bloods, Blue Bloods: canceled or renewed? Blue Bloods: Amy Carlson on Leaving the CBS Series; Could Linda Return? 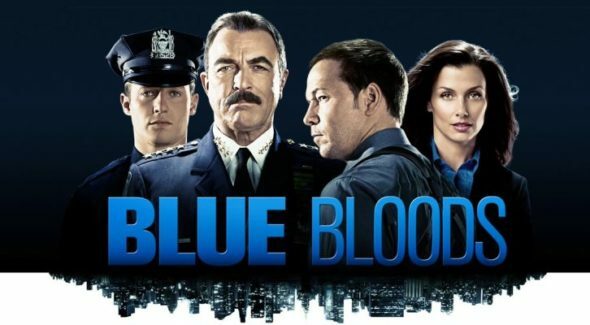 Blue Bloods: Tom Selleck’s New Series for CBS; Cancel or Keep It? PLEASE DO NOT CANCEL BLUE BLOODS! IT’S ONE OF THE BEST TV SERIES ON TV! I love Blue Bloods so much that I keep on watching all the season over and over again. That is one of the best TV show I ever watched in my whole life, and my favorite. Does anyone know if their will be season 8 , and if so when is coming out? Love Blue Bloods. Shows police officers in a positive light which is what needs to be done. Yes I like Blue Bloods a lot. It’s about time we have a show that shows family values and not full of bad language. My favorite show on television. I adore Tom Selleck and think he does a fab job playing the PC. I got my oldest grandchild hooked on the show – we both watch re-runs all the time. We are a family of “blue bloods”, as well. We are true blue fans of Blue Bloods. The show is so good and so real. We are so happy that there will be a new season. Cannot wait. My husband and I are true fans of the show blue bloods. After the 5th season has ended we began to rewatch season 1 on netflix.. While my son was streaming through netflix we found season 6 and began to watch it but once all episodes were done began watchin from beginning again.. I am very excited and I think Blue Bloods should go another full year with new episodes too. I am a Blue Bloods fan, I watch Blue Bloods as much as I can. U like the cast too. Thanks for renewing Blue Bloods for another season. Its my favourite show. Its to bad that I only see it on Tuesdays, Wednesdays and Thursdays as Bravo only shows Blue Bloods these 3 nights.